Proofing is still one of the best ways for a studio to make money. It is proven that selling with color corrected proofs, yields higher print and package sales for your studio. 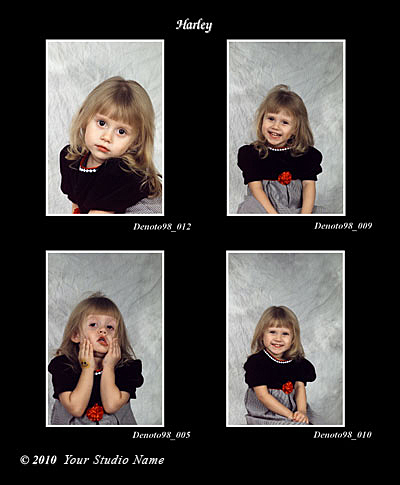 4x6, 4x5 or 5x5 sizes are available in both color corrected and non-color corrected prints. Multi-ups, borders and watermarks are also available. 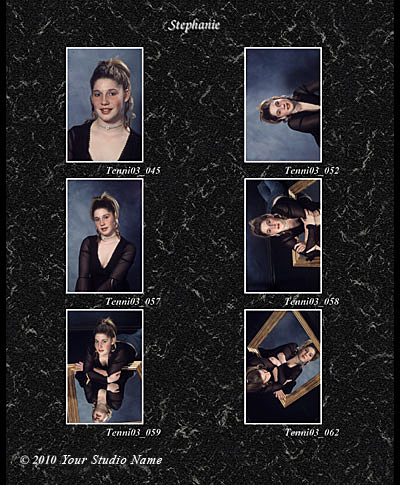 Proof Booklets are a great option for Senior and other portrait work. These booklets can hold up to thirty pages. Our experience is fewer pages work best. The booklets come standard with four sheets. 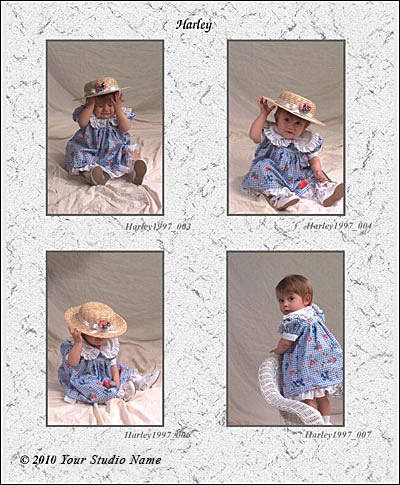 We provide four-up and six-up 8x10 pages with various colors to choose from. Multi-Image Proof Albums come to you fully loaded and ready to hand to your client. If you do not sell the album to that client, order only the proof sheets for the next client and reuse the book. Images are displayed with the filename under the proof image and both vertical and horizontal images are supported. These albums are 8x10 black leather albums.